Mastering C++ is an intriguing challenge that can be utterly satisfactory. This complex, multi-paradigm language allows us to write software of highest performance with well-structured and smoothly growing programs. The power of C++ was tremendously raised with the new features of C++11, C++14, and C++17 such as type deduction, lambdas, rvalues, initializer lists, folding and structured binding – to name only a few. To tackle this challenge, SimuNova offers this intensive training mainly based on Dr. Peter Gottschling's book “Discovering modern C++”. Our goal for this week is that you can afterwards program perceivably more productively. That your programs are usable more flexibly and nonetheless explore the hardware as efficiently as possible. That your software becomes clearer and simpler and thus more readable and more maintainable. That the cooperation with your team will also be more productive. The seminars are offered in German and in English. Please request information for a more detailed overview of the course topics! Peter Gottschling is the author of the advanced C++14 book “Discovering Modern C++”, the Matrix Template Library 4, co-author of the Boost Graph Library and other scientific libraries. He is vice-chair of DIN’s programming language group and was (the last) head of the German delegation in the ISO committee for C++ standardization. 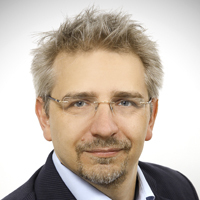 Peter Gottschling is managing director of SimuNova and taught C++ in numerous profesional trainings and academically at TU Dresden, TU Berlin and Indiana University. The course is designed for software developers who aim for excellent software characterized by intuitive interfaces and maximal performance. If you are interested in an inhouse training in your company, oder would like to have several participants attend an open course, please click the button below to contact SimuNova. You will be offered to compose an individual training solution together with their team. Kontaktieren Sie hier den Anbieter, um mehr über das Kursangebot Advanced Modern C++ Training zu erfahren! Erfahren Sie mehr über SimuNova UG und weitere Kurse des Anbieters.